Close up of Mongolia. 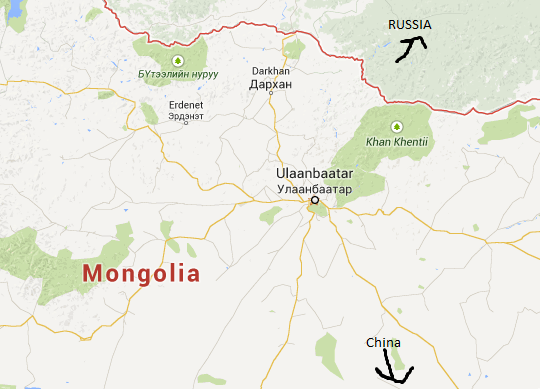 See Erdenet? That’s home sweet future home! There is a large Buddha statue on the outskirts of the town as well as a Buddhist monastery to the northeast of the city. Besides the copper mines, there is also a carpet factory which makes wool carpets. 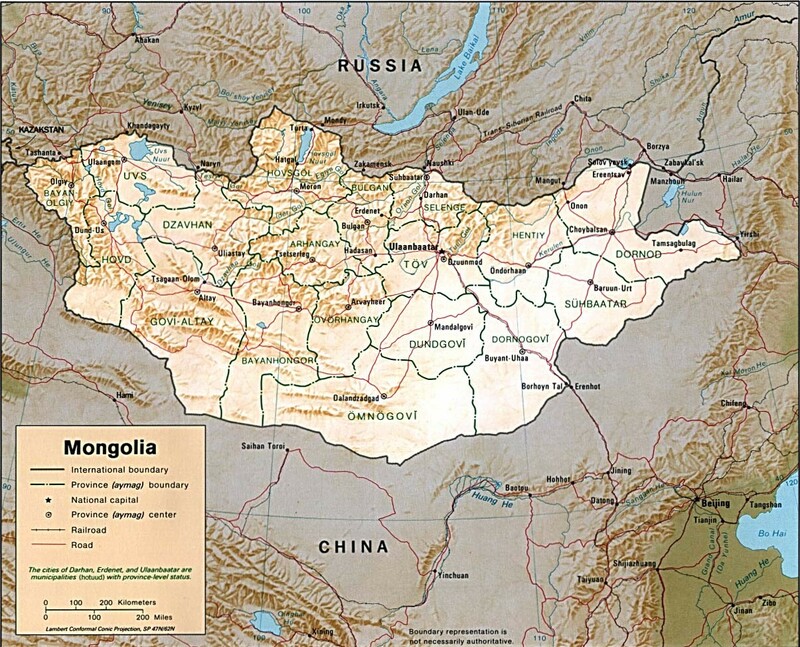 Unfortunately, there is not a lot of information about Mongolia online in general and even less about Erdenet. I will keep up my searches, however, and post when I find out anything new. 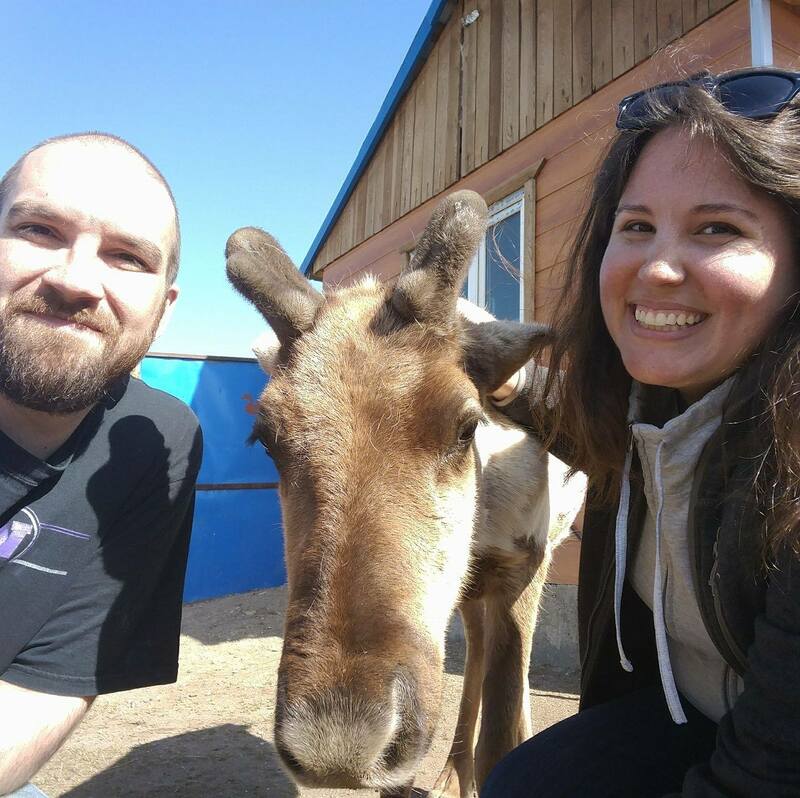 If everything continues to go according to current plans, Eric and I will be joining a veteran teacher to form a smaller teaching team in Erdenet, which will be nice for us to know another expat who also knows something of the country, culture, and language. In addition to the new location, we may no longer be teaching in a local university–even though there is higher education in Erdenet. Instead, we will likely be teaching high schoolers. Either way, we are excited to have a few more certainties to stand on in regards to this big change.